Thank you for this simple, straight-forward tutorial. I just made two outdoor pillows from this knowledge! You timing could not have been better! 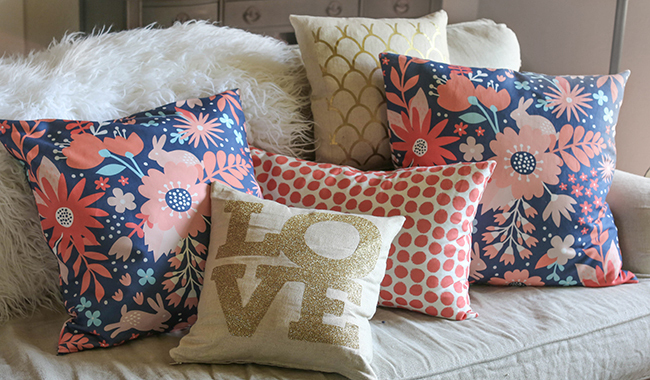 I have been search for the perfect assortment of dec pillows for my new couches. I found the perfect fabric last night, but wasn’t sure how to do it myself. Thank you! Great video teaching me to sew a zipper and pillow! Thanks! Thank you. There will be more coming! Great tutorial, I am in love with that fabric. 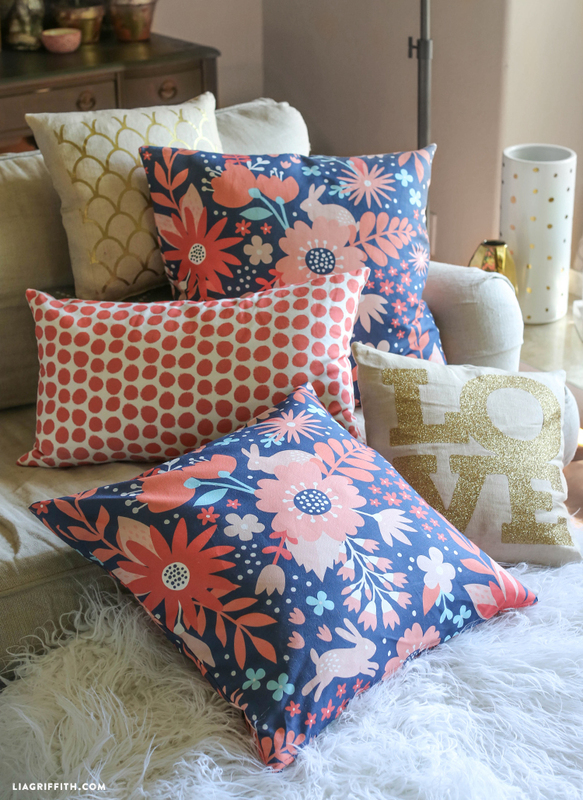 Looked on Spoonflower to see about buying some, So pretty with those colors. Will be perfect in our living room. I’m am avoider of putting zippers in anything. Have new sewing machine tho so no excuse anymore for not putting them in projects. Can hardly wait to get fabric to make pillow covers and maybe table runner. Hope your July 4th. was all you hoped it to be. Enjoy your new sewing machine, cannot wait to hear what you make.